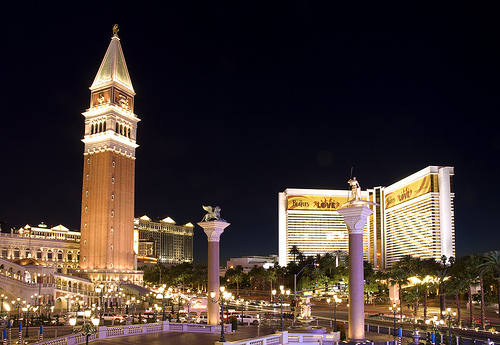 A good fare for nonstop service to and from Las Vegas. Prices may slightly vary depending on dates. The regular fare at $148 allows for normal size carry-on and personal item in addition to advanced seat assignment. The $88 fare is a Basic Economy fare. 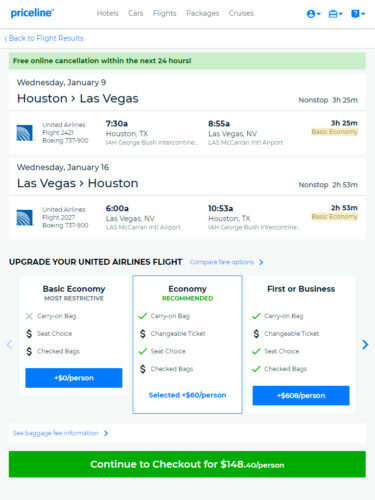 United’s Basic Economy fares do not allow for any advanced seat assignment. Rather, your seat assignment will be randomly assigned during check-in. In addition, normal size carry-on that does not fit under the seat is charged a $30 fee each way with applicable gate check fees (but free if you have an United co-branded credit card or if you have United elite status). 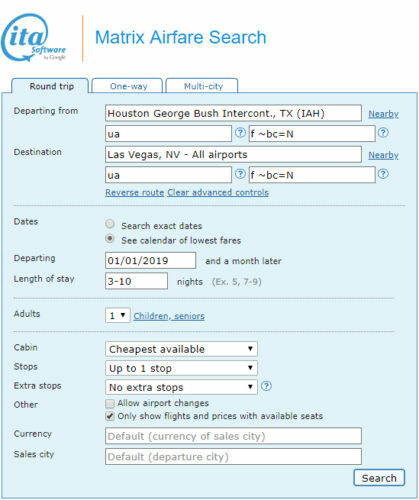 Valid for travel in late-November 2018 and from early-January 2019 – early-February 2019 for Tuesday through Friday departures and for Sunday through Wednesday returns. Must purchase at least 21 days in advance of departure.